I cant see mision "THE AMERICAN CHALLENGE" on my misions tab in Garage! I cant see mision "THE AMERICAN CHALLENGE" on my missions tab in Garage!!! You need to buy the MK-I Eyeball. Edited by U12D13, 05 April 2019 - 08:13 PM. 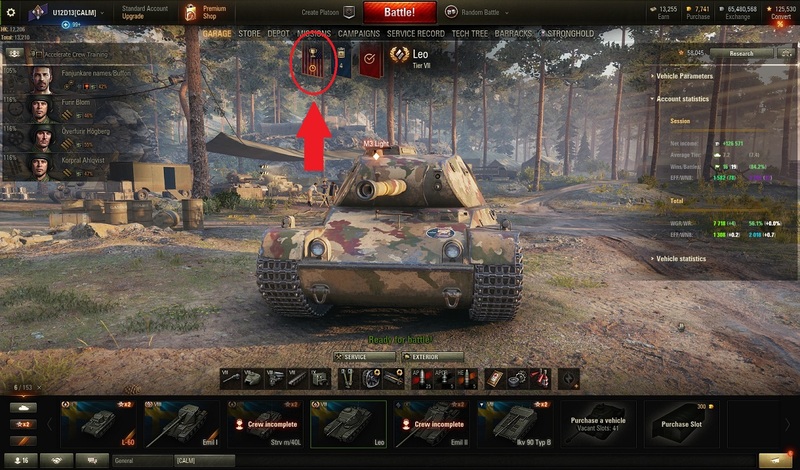 Events tab empty, from the last marathon for new light tank Premium8 and now for American Challenges. Edited by o0PalmPham0o, 05 April 2019 - 08:37 PM. Take a screenshot of your garage and post it here. Go to the launcher and turn on updates - I had the same problem. You need to download an update from the launcher. Mine didn't show up until I did that. thank you guys so much, it solved! !